The third edition of AUSINDEX, an acronym for Australia India Exercise is scheduled to commence with the arrival of HMAS Canberra (L02), a Landing Helicopter Dock, HMAS New Castle(06) and HMAS Paramatta(154), both frigates; HMAS Collins, a conventional submarine and HMAS Success(OR 304), a Durance-class multi-product replenishment oiler at Visakhapatnam on 02 April 19. The aim of the exercise is, “To strengthen and enhance mutual cooperation and interoperability between the IN and RAN, providing opportunities for interaction and exchange of professional views between the personnel of the two navies”. A sign of strengthening of bilateral and defence cooperation between the two countries as envisaged in the Framework for Security Cooperation (FSC) announced by the Australian and Indian Prime Ministers in 2014. The maiden edition of the exercise was held in September 2015 at Visakhapatnam. Australia hosted the second edition of the exercise off Freemantle in June 2017, wherein ships of the Eastern Fleet of the Indian Navy (IN) exercised with Royal Australian Navy (RAN) ships and submarines. 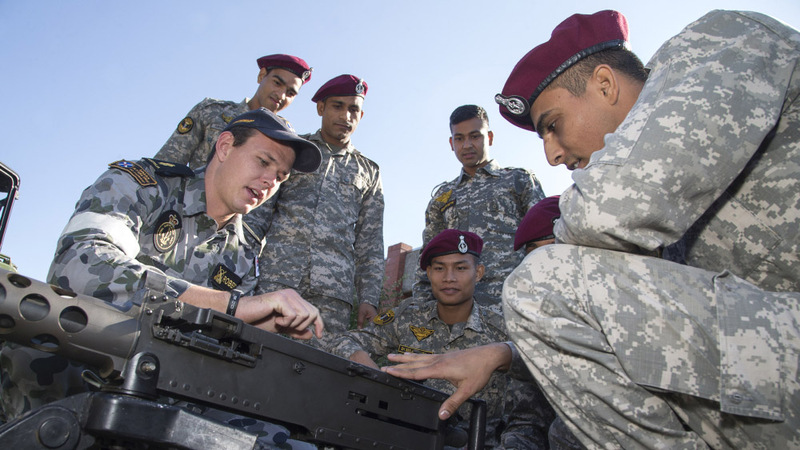 Building on a long history of cooperation – including the shared experiences in the trenches of World War I in Gallipoli and along the Western Front – Australia and India have a positive defence relationship, underpinned by the 2006 Memorandum of Defence Cooperation and 2009 Joint Declaration on Security Cooperation. However, post the 2014 bilateral FSC the cooperation on defence and security matters between the two countries has gained significant momentum thus, witnessing conscious and focussed enhancements. The complexity of the biennial maritime exercise over the past four years has steadily increased. The third edition would involve exercises in all three dimensions with focus on ASW. The number of units being fielded by both navies in the bilateral exercise is the highest till date. The increased scale of participation signifies the importance attached to the exercise by both countries while the enhanced complexity is indicative of the interoperability between the two navies. Overall, the exercise underscores India’s vision of SAGAR (Security and Growth for All in the Region) and shared objectives of the two countries towards ensuring good order in the maritime domain and solidarity with friendly and harmonious countries.